The University’s Outstanding Student Contribution Award (OSCA) aims to recognise exceptional student achievement. The activity for which students are nominated does not need to have been over their entire time at Warwick, nor a long-term commitment. Students may be nominated for one particular item which has contributed significantly to the community. We seek to celebrate individuals whose efforts have made a difference, regardless of duration of the activity. We are pleased to announce that the fifth Outstanding Student Contribution Awards has been conferred on eight students (details below), as chosen by a panel made up of the Registrar, Pro-Vice-Chancellor (Education) and the Students' Union. Clement Mawby, Kieran Hall*, Helen McLaughlin, Manan Mehta, Sophie Miller, Anna York*, Hasan Suida, and Umar Taj^. Photos from degree congregation to follow. *students who will graduate in January 2019; ^degree conferred and OSCA carried forward from 2017. Helen has spina-bifida. This requires her to use a wheelchair or walking frame. Yet she has found the time and energy to pursue an impressive array of social causes. Throughout her time here she has worked tirelessly, to support disabled, disadvantaged, and vulnerable people – both on campus and in the wider community. Helen is currently the only student at Warwick to complete a challenging B.A. course in German Studies and Sociology, displaying impressive intellectual flair. During her year abroad in Lbbecke, Germany she secured a placement at a home for people with learning disabilities. Whilst there, she helped shape local disability policies and acted as an advisor to regional government. She gave presentations on the British system of disability support to social work students at Bielefeld Fachhochschule, the second largest educational institute in Bielefeld, Germany. Through her last year here at Warwick in her capacity of Welfare and Access Officer for Warwick Enable, Helen is engaged in: setting up a student council to improve user feedback to Disability Services; researching and improving the access to universities for disabled school pupils; raising awareness of the support available to disabled students through the student radio channel; and leading a poster campaign to dispel disability myths. Helen’s positive energy and commitment to causes greater than her own self-interest have inspired her fellow students and Faculty alike. Set to embark on Post-Graduate study, Helen is poised to turn her interests and commitments into a professional career. Throughout Sophie’s time at Warwick she has worked tirelessly, participating in a wide range of activities and responsibilities that benefit the university community. Affectionately known as ‘the face of Creative Writing at Warwick’, she has represented the English Department at almost every open and offer holder day, speaking to prospective students, both 1 to 1 and to wider audiences. Her passion for the creative writing so impressing the students that upon commencing their own university journey they seek her out – knowing they will find a helpful and friendly face. She has been blogging for the English Department for the last 3 years, sharing her experiences of university life and knowledge of the Warwick Writing Programme. That knowledge was put to further good use when Sophie worked with the Outreach Services team to run a workshop for year 10 pupils in a local school. Sharing her enthusiasm for Creative Writing and, specifically what it’s like to study it at Warwick, motivated many of the pupils to request more writing opportunities in schools. As a member of the English Department Staff Student Liaison Committee, Sophie attends the regular meetings; and beyond. She recently worked with the Head of Department and administrators to overhaul the module selection and timetabling processes and instigate change to degree structures. Recognition for this contribution was granted at the Student Union’s Representation Awards recently, where Sophie won the Undergraduate Outstanding Course Rep Award 2017/18. Sophie is the head steward for the Mead Gallery – actively raising the profile of the gallery and its many community activities. A champion for the local community, Sophie volunteers for Girl Guiding UK, and is leader with 1st Phoenix Rainbows for 5 – 7 years olds and 1st Phoenix Rangers, for young women aged 14-24, based in Coventry. In March 2018, she was awarded the Chief Guide’s Challenge; an award that requires over 360 hours of skill development and community work. Whilst these achievements in themselves show that Sophie is a remarkable member of the Warwick community, what makes this all the more extraordinary are the circumstances under which she has done so. A lengthy period of chronic illness, culminated in the diagnosis of Chronic Fatigue Syndrome/M.E. ; an invisible illness which manifests in symptoms such as debilitating fatigue and muscle pain. Sophie has often gone against medical advice to participate in many of the above activities, always putting others above herself. Umar has been an entrepreneurial student. In his time at Warwick Business School he has greatly enhanced the environment for those he has not only learnt with, but those who have taught him. He is a superb ambassador for the University, both here in the UK and around the globe. Umar invented the ‘Nudgeathon’. This is a crowd-sourcing activity which brings together teams of students – and others – to challenge some of the most intractable social problems facing society today. Using collective knowledge, they seek solutions. The Business School have now conducted several ‘Nudgeathons’, with sponsors from a wide range of sectors, including the NHS. The solutions developed in these ‘Nudgeathons’ are currently being implemented with real impact but it goes one-step further. The School is now using ‘Nudgeathon’ methodology in teaching; as a way to introduce behavioural change thinking to decision makers in industry and government. Umar gave his time to organise budgeting, marketing, liaising with applicants, speakers and judges, working tirelessly to ensure the ‘Nudgeathons’ success. Umar has been closely associated with the United Nations Development Programme in Pakistan. One of his projects involved getting young people at risk of extremism to learn a trade in Karachi, one of the world’s most densely populated cities. Over 2,000 at-risk young adults obtained jobs as a direct result of this project. Crucially employment is a barrier to extremism. Umar has also helped several academics throughout Warwick develop a bid for the GCRF Network Competition 2016. Although the bid was not successful, Umar's energy enabled the development of a strong research network that we hope will help us put together future bids. Umar developed a "rule of law" index for Pakistani provinces. The purpose of the index is to classify provinces according to how well they conform to the law. This is based on factors such as constraints on government powers, absence of corruption, open government, fundamental rights, order and security, regulatory enforcement, civil justice and criminal justice. The index has since been applied to all provinces in the country, and the resulting work was highly publicised. The new transparency enabled by the index will, it is expected, help Pakistan develop. Umar has also worked with Gallup International. He helped them devise surveys, alongside the principles of behavioural science. One offshoot of this work is that he has developed a relationship between Gallup and academics at Warwick. This relationship was part of a recent major research bid that was successful. 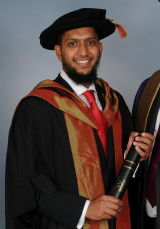 Umar has also been generous in helping other academics and students draw on the Gallup connection, and there is no doubt this has added to the University’s already world leading reputation. 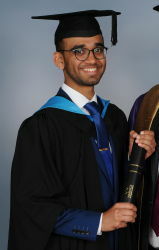 During his time at Warwick, Manan has committed time and effort to empowering underprivileged children in developing countries; and has worked tirelessly to raise awareness of mental health issues; advocating the importance of well-being for his peers. Through 2016/17, Manan raised a total of £3895 for children in developing countries. By collaborating with ‘Warwick Raising and Giving’ and ‘Childreach International’ Manan helped to raise money towards making education accessible for those in most need. Manan also volunteered in the 'Warwick in Africa' program. ‘Warwick in Africa’ has been sending volunteers to Tanzania, Ghana and South Africa for the past ten years. It has impacted 280,000 learners and students. As a volunteer teacher, Manan spent six weeks during the summer of 2017 in the township of Alexandra, South Africa; where, as well as teaching Mathematics to 250 children, he worked hard with the local community to create an outdoor space where the children could play. Manan has been an advocate of the importance of a healthy state of mind. Having experienced mental health issues, he makes every effort to keep his peers motivated by imparting positive thinking strategies. Manan speaks about how experiential happiness is long term happiness in a TEDxWarwick talk. The talk titled 'If you needed 100 reasons to be happy, money could buy 70 of them' has over 10,000 views on YouTube, across a global audience. Apart from these fantastic achievements, Manan has also been associated with Warwick Emerging Markets Society as a writer, Warwick Politics Society as a panellist, and has worked in the teams of Warwick Entrepreneurs, Warwick India Forum and Welcome to Warwick. Throughout Clement Mawby’s time at Warwick he has made a significant contribution to the university, his fellow students, and our local community. Clement is passionate about the environment and sustainability. His dedication to the Tocil Wood Conservation project has earned him the nickname ‘The Woodland King’. The project is run in conjunction with Warwickshire Wildlife Trust. Volunteers get involved in such activities as raking the meadow, clearing streams, and taming brambles. The main focus of the project is coppicing. This is a traditional method of woodland management that increases biodiversity in the habitat as a whole. Clement has dedicated more than 500 hours of volunteering with the project. He is pro-active in organising and running the regular volunteer meetings. His passion has encouraged large numbers of students to engage with the project and increase the amount of woodland management carried out. For those familiar with the campus, and especially for those visiting today, take a moment to look at our surroundings. We have a beautiful campus. Here we are surrounded by nature and the natural world. I would encourage everyone to take a stroll through the woodland, particularly during April and May, and you will see the carpet of bluebells and the tapestry of trees – this is partly due to the conservation work performed by these volunteers. Clement’s energy is boundless. Alongside work on the Tocil project he is involved in several other local charities. These include Leamington Winter Support, a homeless shelter where he often stays overnight and helps to serve food. He is also involved in ‘Rawkus’ food collection. This is a collection service which redistributes surplus food at the end of each term. Food and utensils are collected distributed to local charities and those in need. Joining in his first year, Clement is currently an organiser, actively promoting Rawkus clean-up events. In addition, Clement’s passion for his subject Physics, – yes he has done a Physics degree amongst all of this too – has seen him writing several popular science articles for the Warwick Boar and Warwick Globalist, two campus newspapers. He has given a talk on Alan Turing’s life and works at a Drama Society theatre production alongside leading Physics outreach events, such as the Christmas lectures and the Science Gala, amongst others. As the academic lead for the undergraduate Physics Society he is the driving force behind revision lectures. Both student academic led Clement is instrument in organising these vital sessions – promoting them, filming them, and publishing them for as many students as possible. Throughout Hasan’s time at Warwick he has worked tirelessly, as a volunteer for the Warwick Laksh Programme. In partnership with the Laksh Foundation, India, the programme offers free extra-curricular tuition to over 1000 children. It inspires a love for learning through its innovative and interactive lessons. Whilst on placement Hasan worked with the Laksh teaching team; members of the local community, who largely come from impoverished backgrounds. Hasan helped to improve their teaching skills and knowledge. In addition he worked with young Indian learners between the ages of 3 – 15 from similarly disadvantaged backgrounds. Hasan took his role as a volunteer and mentor with great seriousness. Designing exciting workshops that challenged the teachers while simultaneously empowering them. He worked alongside them, offering solutions to their individual challenges and implemented systems and reflective practices to help the team continue to develop after he left. He inspired the teachers and continues to inspire and support them by keeping in touch regularly. He built good relationships with his fellow volunteers adapting to meet the needs and wellbeing of the whole team. Hasan continues to help the team devise training plans for subsequent volunteers, thus ensuring the programme continues to have a positive impact. He promotes the programme across the university, delivering presentations to prospective volunteers. His professionalism, discretion and honesty impresses his tutors and peers alike. He contributes to several other causes and activities on campus – such as: Ted-X, The Boar, Warwick in Africa and the Philosophy, Politics and Economics society. The characteristics and experiences of Hasan make him a worthy recipient of the Outstanding Student Contribution Award. I would like now to invite Hasan to receive his award and I am sure you will all join me in congratulating and thanking him.